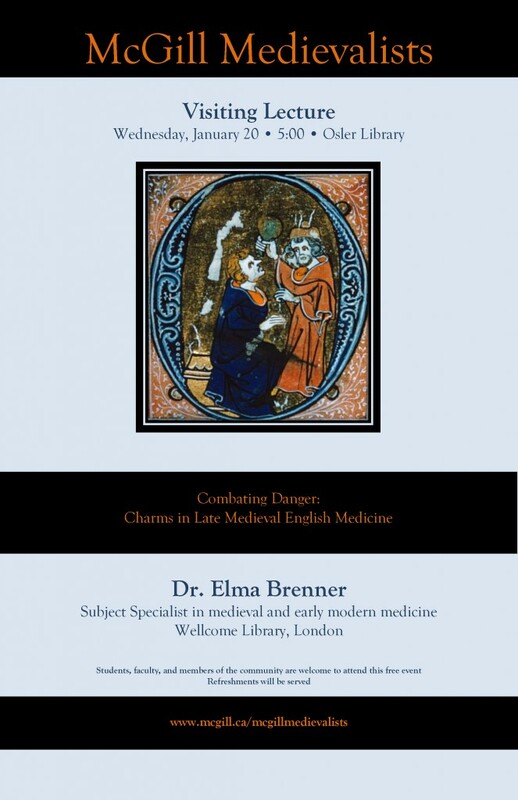 5:00 PM, Wellcome Camera of the Osler Library of the History of Medicine. This talk is presented by McGill Medievalists. This entry was posted in events & exhibits and tagged charms, medieval medicine, Research travel grant, talks by Anna Dysert. Bookmark the permalink. Liaison Librarian at the Osler Library of the History of Medicine.